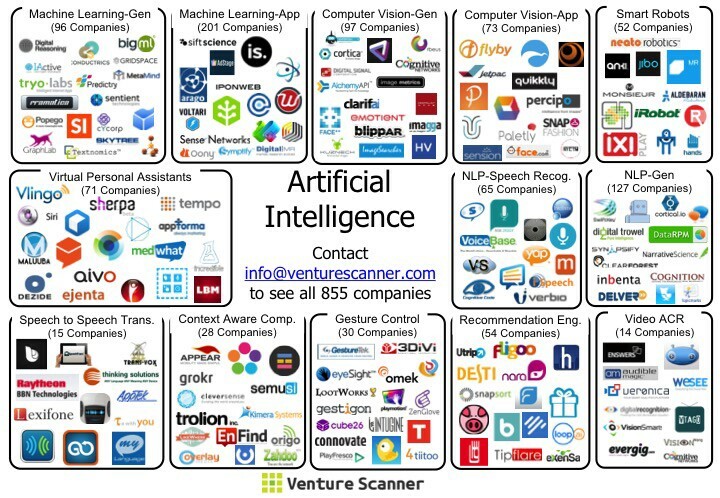 At this time, we are tracking 855 AI companies across 13 categories, with a combined funding amount of $8.75billion. 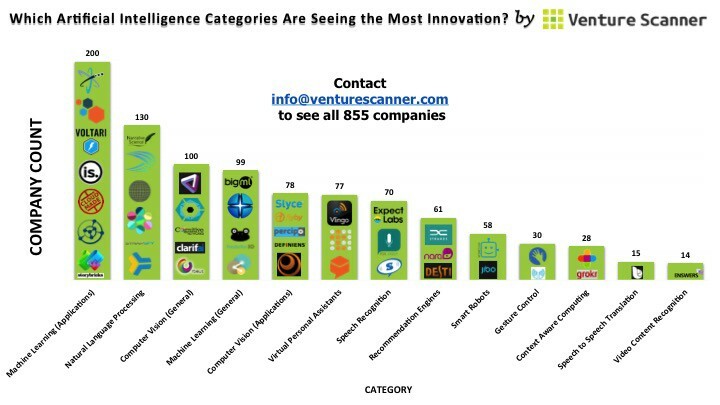 Market Overview: Breakdown of Artificial Intelligence into categories. 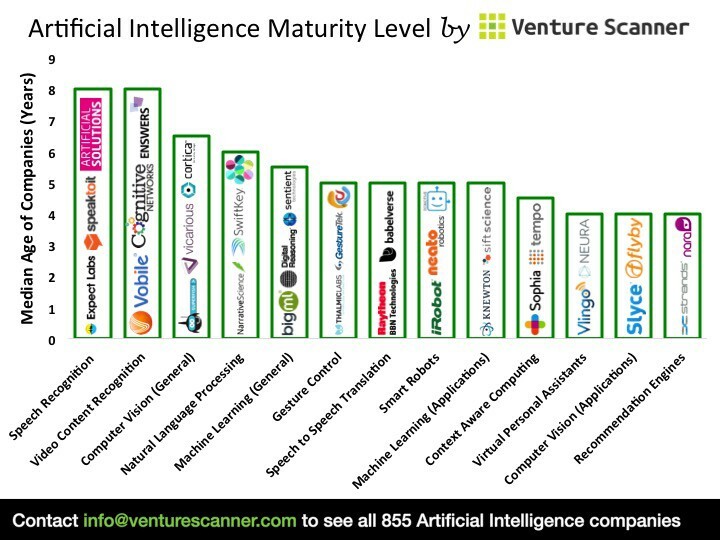 Number of Companies Per Category: Bar graph summarizing the number of companies in each Artificial Intelligence category. 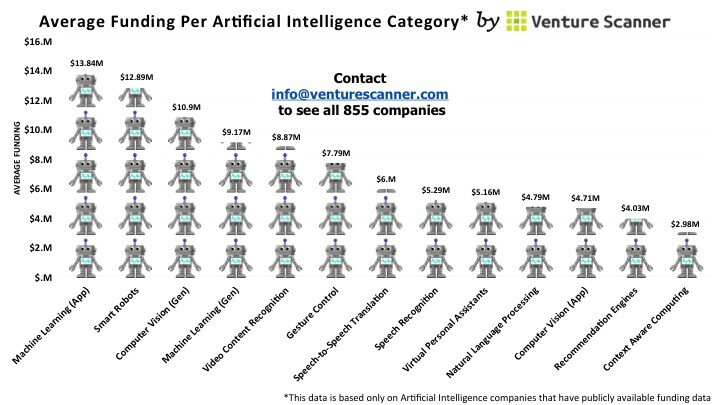 Average Funding By Category: Bar graph summarizing average company funding per Artificial Intelligence category. 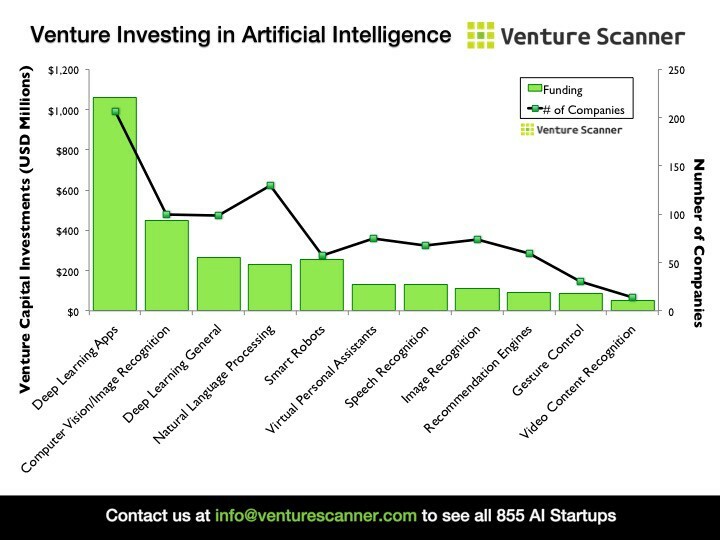 Venture Funding in Artificial Intelligence: Graph comparing total venture funding in Artificial Intelligence to the number of companies in each category. 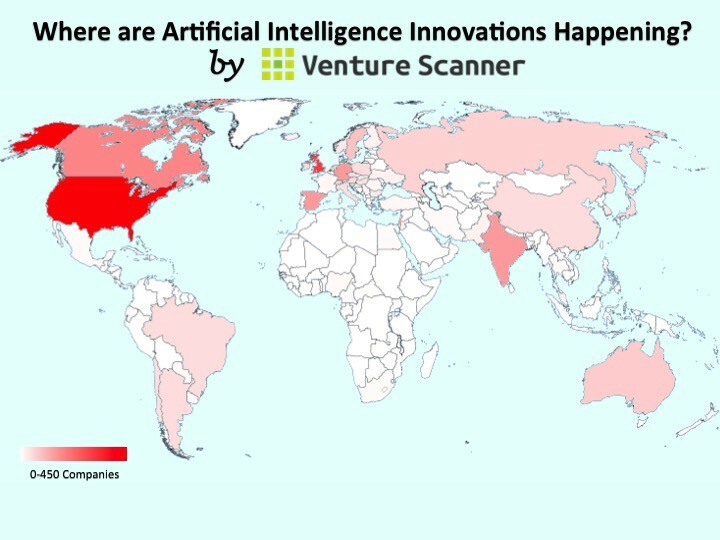 Global Breakdown of Artificial Intelligence: Heat map indicating where Artificial Intelligence companies exist. Median Age of Artificial Intelligence Categories: Bar graph of each Artificial Intelligence category by median age. As Artificial Intelligence continues to develop, so too will its moving parts. We hope this post provides some big picture clarity on this booming industry. Venture Scanner enables corporations to research, identify, and connect with the most innovative technologies and companies. We do this through a unique combination of our data, technology, and expert analysts. If you have any questions, reach out to [email protected].